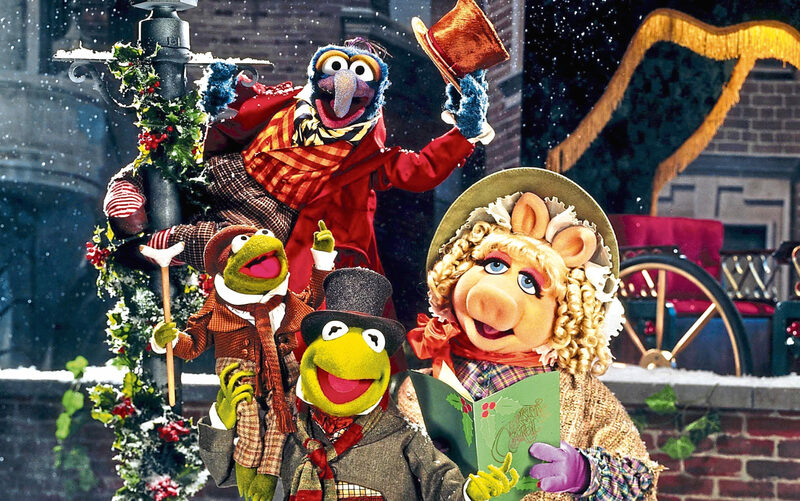 TO bookworms everywhere, A Christmas Carol remains the greatest festive tale ever told. It was 175 years ago, on December 19 1843, that the classic was first published, its full title being A Christmas Carol. In Prose. Being A Ghost Story Of Christmas. The story of Ebenezer Scrooge, Bob Cratchit, Tiny Tim and the ghost of Jacob Marley still speaks to kids of today’s generation but it is far from the only Christmas cracker created by novelists, poets, film-makers and others. This is our look at the Top 10 Christmas Tales, all of which added something to our feelings about the festive season, whether happy or sad. Charles Dickens was in some serious trouble when he got down to writing this one. His wife was expecting their fifth child, his publisher was threatening to reduce his payments if sales of Martin Chuzzlewit continued to fall. Having seen dreadfully hard times in his own childhood after his spendthrift father was sent to debtors’ prison, the young Dickens had had to pawn his books. Now, he was facing a similar financial meltdown in his adult life, and battered out A Christmas Carol in a “white heat” of just six weeks. He would take night-time walks of up to 20 miles around London, knocking the whole story and all its soon-to-be-famous characters into shape. Dickens had also seen, and been sickened by, child poverty around the country and he put all of these energies into his incredible Christmas tale. Friends and family said he would often weep, and occasionally laugh, as he wrote it. It’d be hard to argue that anyone else has matched his achievements and it remains the standard to try to reach if you’re creating a Christmas story. This wonderful poem literally became a Christmas carol. The original was published in 1872 by Christina Rossetti, the London-born daughter of an Italian nobleman. Sister of Dante Gabriel Rossetti, the famed Pre-Raphaelite painter, Christina’s tale was originally titled A Christmas Carol. Gustav Holst would turn it into a musical piece, which you will still hear in churches across the UK and beyond. And, unlike some modern Christmas creations, it really is all about the birth of Christ! Voted America’s Most Inspirational Film, this 1946 fantasy-comedy-drama still has the power to enchant viewers of all ages again and again. James Stewart is George Bailey, often looked after – or pestered – by his guardian angel, Clarence Odbody, played to perfection by Henry Travers. Producer-director Frank Capra made some pretty decent flicks, such as It Happened One Night, Mr Smith Goes To Washington and the famous Why We Fight morale-boosting Second World War series. 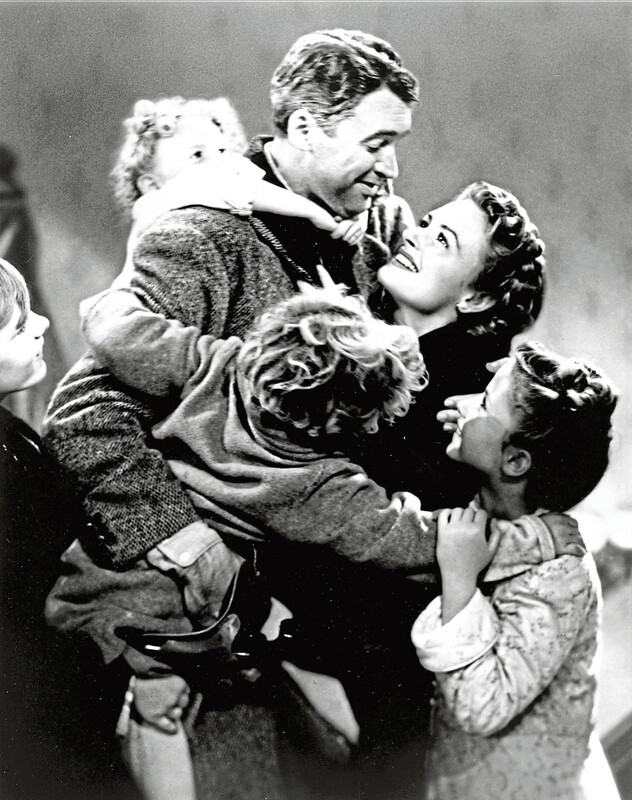 But he admitted It’s A Wonderful Life was easily his favourite and his own family sat down together to enjoy it each Christmas, like the rest of us. Even though it deals in part with death – just like Dickens’ classic – it’s a warm, feelgood, family movie, with great performances by the child actors as well as Stewart and Donna Reed. And considering it starts with him contemplating suicide, that is quite an achievement! Published just a couple of years after A Christmas Carol, Hans Christian Andersen’s short story also has equal measures of heartbreaking sadness and joy. The little girl in question is dying and we learn of her hopes and dreams. Yes, tissues at the ready, folks. On a chilly New Year’s Eve, she shivers from early hypothermia as she tries to sell matches in the street, barefoot and scared to go home without any sales because her father would beat her. When she seeks shelter in a dark corner and lights a match, visions appear to her, including a warm stove and a goose, followed by a huge Christmas tree. Looking to the skies, she spots a shooting star, but then recalls how her grandmother had told her this was a sign that she was dying and would go to heaven. As a vision of her gran appears, she continues lighting all the matches in order to keep seeing her – Gran was the only one who showed her any affection. The girl is found dead, a smile on her face, next morning. As powerful, tragic, ever-popular Christmas stories go, this one provokes tears a-plenty! Once thought to have been written by Martin Luther, the German religious reformer, they now reckon the lyricist remains anonymous but the music was probably penned by an American, William J. Kirkpatrick, in 1895. The tale of Christ’s birth, a major poll in the United Kingdom showed that it is right up there with many Britons’ all-time favourite Christmas carols. And for several generations, just hearing those words and that melody takes us right back to our own childhood Christmas memories. Of course, there are many great Christmas carols, but this was usually the first one taught to children. Within months of first being heard, it was a Sunday School staple in American churches, but with at least four different pieces of music to go with it. None, surely, as good as the one we know and love to this day. As fewer and fewer people go to church in the future, it will be interesting to see what becomes of such beautiful songs. Raymond Briggs’ wordless 1978 picture book, turned into a magical short film, has simply become a part of Christmas we can’t do without. When a boy builds a snowman who comes to life at midnight, they play in the house and later ride a motorbike and then fly across the land. 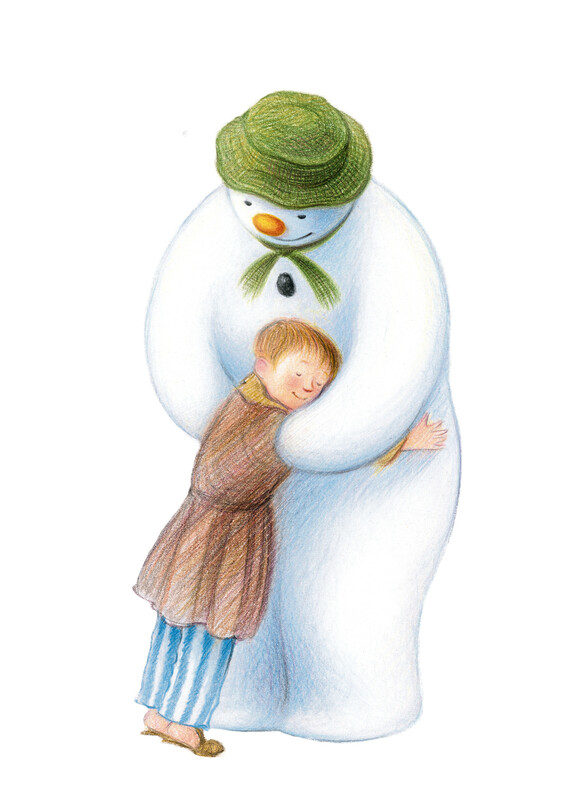 When they meet Father Christmas, he gives the lad a nice scarf – when he wakes next morning, the sun is out and the snow and snowman melted, but he finds the scarf still in his pocket. He’s been in games, films, Doctor Who, animations, comic books, theatre and song but Robert Lewis May’s original 1939 story remains the high point. It was the New York writer who came up with the story of the deer with a nose so shiny red that it could light the way for Santa and his helpers. Interestingly, like Dickens, May’s parents had been hit financially, losing their considerable wealth in the Great Depression 10 years earlier. Getting a copywriting job, he was asked to come up with a “cheery” Christmas book, and he managed to do much, much better than that! When the Santa at a big department store claims he’s actually the real Santa, things get interesting. With Maureen O’Hara, John Payne and Natalie Wood in sublime form, this film became an instant classic in the United States and is now an annual must-see everywhere else, too. Released in 1947, it clinched three Academy Awards, and is the story of Kris Kringle, who moans about a store Santa being drunk and is persuaded to replace him. There’s also a nice love story and some very funny jokes, and it deserves its classic status. J.R.R. Tolkein’s children were very lucky to have a talented father who wrote short Christmas stories for them each year; and the rest of us were equally fortunate when they were compiled for this 1976 book. The Tolkien children, whose father was better known for The Hobbit, Lord Of The Rings and other classics, got an annual letter from “Father Christmas” and these detailed how his year had gone. In one, life was made tricky by an accident-prone polar bear, and there was always a lesson about life hidden in the text. You can thrill, and sneakily teach, your kids and grandkids with these tales today. This 1816 story by E.T.A. Hoffmann, a German author, centres on a girl’s favourite Christmas toy, the toy soldier Nutcracker. When he comes to life, the magic begins. Having defeated the nasty Mouse King, he takes her to a dreamy kingdom where the population comprises dolls, dolls and more dolls. Even Tchaikovsky was inspired to turn it into music – and it isn’t a bad ballet, either – but the original words on paper still do the best, most mesmerising job. It’s Christmas Eve when seven-year-old Marie and brother Fritz, a year older, try to guess what kind of present their godfather has made for them. As a clockmaker and inventor, they are sure it’ll be something worth having, but could never dream of the fun ahead. There are some dark, sad moments, and a love story, along the way and it remains one of the greatest Christmas stories ever told – but, then, as you can see, there are no shortage of those.